For the past six years, the Wisconsin Institute for Discovery has been assembling a world-class cross-disciplinary faculty, developing innovative research programs, and establishing itself as a research hub on the University of Wisconsin–Madison campus. 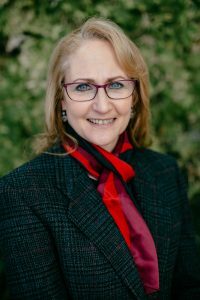 As of February 1, 2017, WID is entering a new phase under the leadership of Professor Jo Handelsman. Handelsman received her Ph.D. in molecular biology and held professorships in the Plant Pathology and Bacteriology Departments at UW-Madison before spending several years at Yale University and as the associate director for science in the White House Office of Science and Technology Policy. 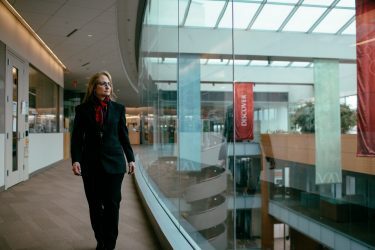 She returns to UW-Madison just as WID prepares to take the next step in its development as an institute built to lead 21st-century approaches to science. For Handelsman, that means analyzing what WID has accomplished so far and thinking carefully about where WID should go next. “The product of the last five years is in the people, and it’s fantastic,” she says. “WID is not a blank slate any more. There are certainly a lot of formulated ideas and plans, there are a lot of opportunities for new directions, new approaches, and building a better and more unique WID. “It’s time for the faculty, students, staff, and entire WID community to think about what WID needs to be, wants to be, and what makes WID absolutely unique on campus. The answer must be something about the way that we interact – not only the way we interact with each other within WID, but how WID interacts with the Morgridge Institute for Research, with the rest of campus, and with the State of Wisconsin. I think we need to look at those in that sequence; we need to first analyze what we want WID to be within ourselves and then figure out how to build the synergies with the Morgridge Institute, the campus, and the State.